My daughter is just crazy for small animals. I knew from the moment that I decided to make her something that I would make her an animal for Christmas. 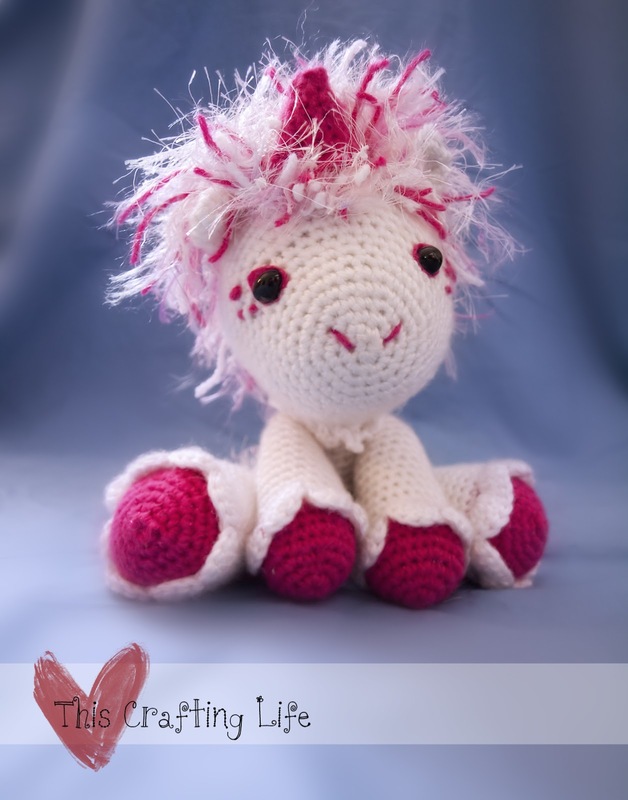 I looked through a lot of patterns, because I didn't have the motivation to make a new pattern myself and I found a pattern for Hermione the Unicorn. As part of a new series for the blog, "My Pattern Experience", I decided to write a review on this pattern. It was very easy to work up, and I had it completed in a short three days. I made a few small changes, using different colors, a different set of eyes, and then I modified the hairline, removing the ruffle around the hair and the tail. I used a grouping of one strand of white eyelash yarn, one pink sparkly yarn, and one variant eyelash yarn in varying shades of pink. I expanded the hairline too because I wanted the head to be fuller of hair. I kept the ruffle around the neck as well. I was super happy with the result and so was my daughter! She has named the unicorn Claire. 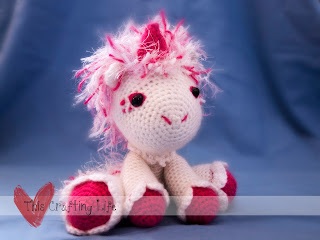 If you want an adorable and easy amigurumi, go for this one. You'll learn a few new techniques, and you'll have fun and feel rewarded when you finish it!